Dr Simon Farmer graduated in medicine from Bristol University in 1986 with 1st Class Honours in Psychology and distinctions. He was Welcome Trust Medical post graduate research training fellow and was awarded a PhD in Physiology. 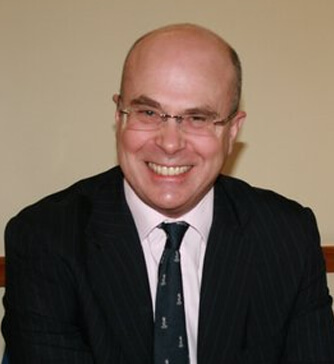 He trained in general medicine and neurology at the Royal London Hospital; St Mary’s Hospital and the National Hospital in London and was appointed consultant neurologist between St Mary’s and the National Hospital for Neurology and Neurosurgery in 1995. Since 2010 he has worked full time at the National Hospital. He has held positions in post graduate training. He has supervised the training of a number of medical post graduates and PhD students. He is currently associate clinical director for neurology and clinical lead for general neurology at the National Hospital. His expertise is in general neurology with sub-specialist interests in Parkinson’s disease, movement disorders, neuro-ohthalmology and disorders of the spine.